There’s not a singular book or movie franchise that better defines an era than that of Harry Potter. Its universal and timeless appeal has seen it spawn not only theme parks and museums, but a huge array of merchandise that allows you to take a little piece of magic home with you – whether officially endorsed or not. 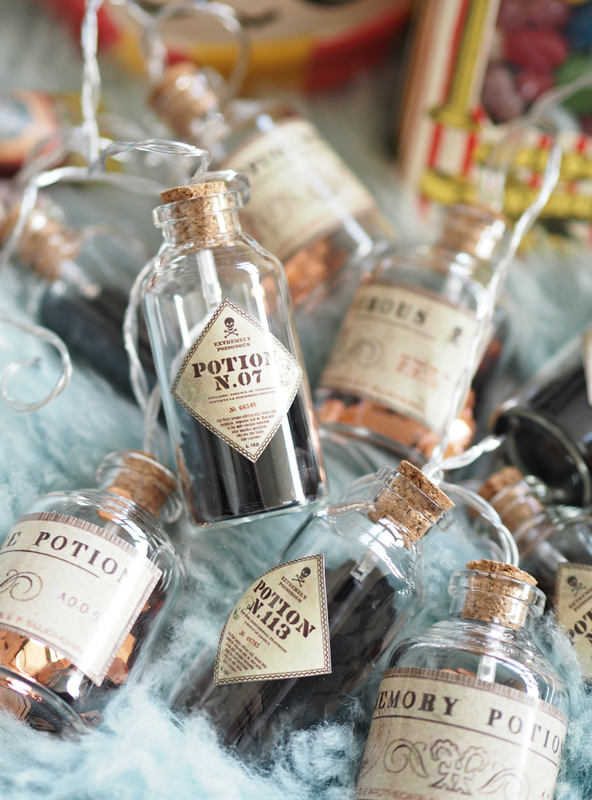 Every Christmas it becomes a self-imposed challenge to source the most innovative, fun and different Wizarding World treats I can give to my fellow magical muggles, and I have to admit I’ve got rather good at it! Yes there are the usual books released just in time for the festive season, alongside limited edition boxsets and the same colour changing glasses that make an appearance every year (got them all!) 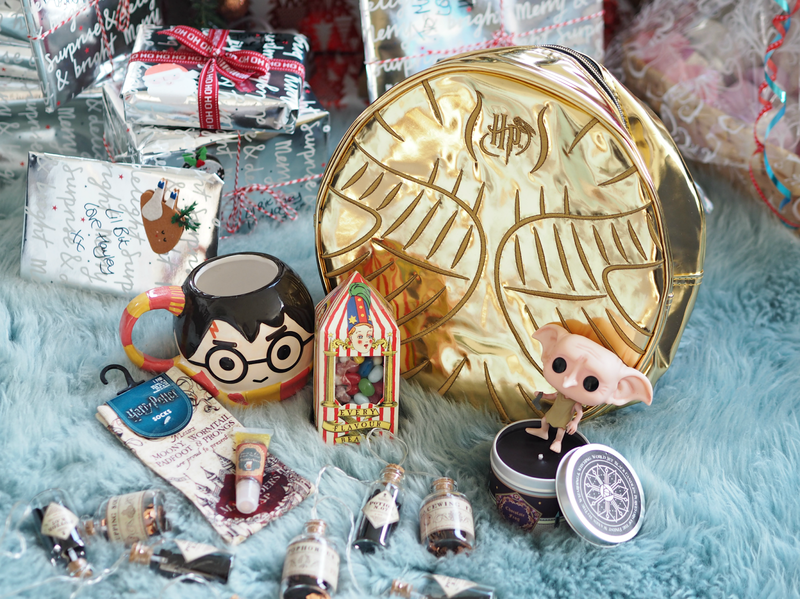 but the wizard-lover in your life would far rather unwrap one of these treats – I promise you. I could’ve made this post ‘100 of the best gifts’ as there are so many amazing pieces out there, but I’ve narrowed it down to ten of my faves that you may just be able to still order and get in time to pop under the tree. I’ve still got a Chocolate Frog that I bought when the very first film was released back in 2001; it’s definitely no longer edible, but it is a little piece of movie history and still puts a smile on my face. 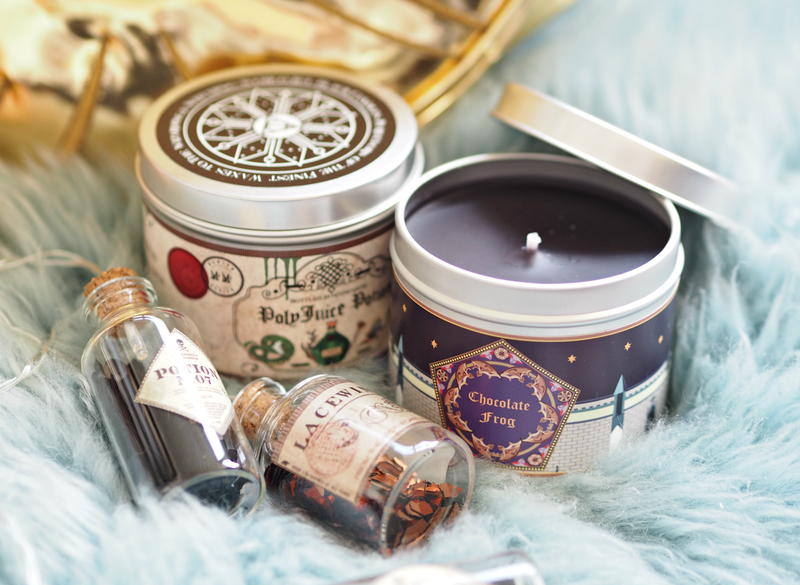 I stumbled across these super cute candles online and instantly snapped up a load to both keep and give to my fellow HP enthusiasts, and there’s no doubt that the Chocolate Frog one is my fave. Although there are also Polyjuice Potion, Sorting Hat (that burns down to reveal your hose!) and Fire Whiskey scents alongside many others, this is deliciously creamy and sweet while nodding to geekdom in a subtle way. Love it. They say we can create magic with makeup, but these cool brushes make the process even more special. Inspired by the wands used in the movies by your favourite characters, you can pick up a set of five for less than a tenner and ensure your makeup loving buds unwrap a real treat. Although the quality isn’t great, these are definitely a display piece and something to put a smile on a Potter fan’s face. Amazon is your best bet, especially if you have Prime. 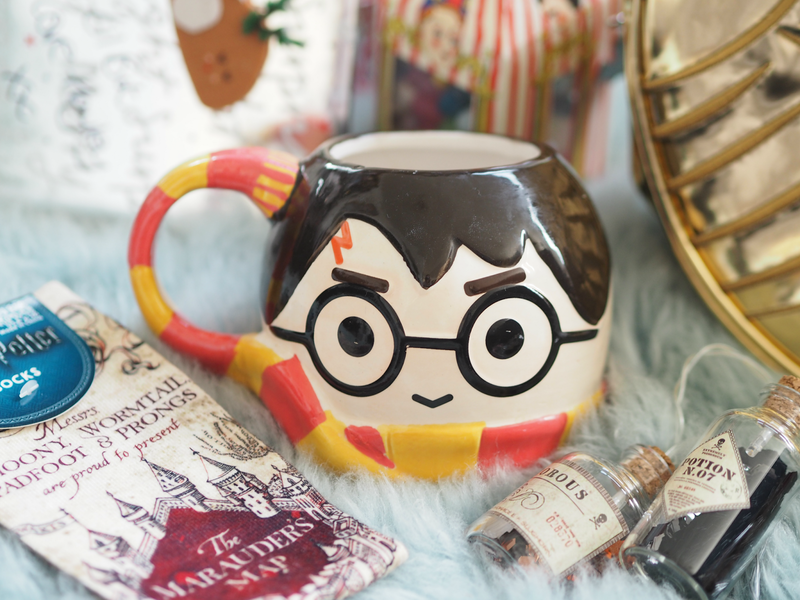 Primark’s collection of HP merchandise right now is utterly incred (well done guys!) and this is one of my fave pieces. The cheeky Harry face mug makes sipping a festive hot chocolate extra fun; the handle is even fashioned from a house scarf! For six quid you really can’t go wrong – I picked up one for myself alongside those for gifts and have been sipping from it all December long. Buy one for everyone! A perfect gift for those not ashamed of their Potter allegiance, this golden backpack doesn’t exactly make a subtle statement! It’s such a genius idea for a piece of memorabilia, especially as the wings turn into the straps, and it’s one I snapped up while chuckling to myself that the recipient is gonna blooming love it. Although definitely a niche gift for either kids or super fans, it’s really unique and totally hilarious. I totally stocked up on these last year, but they still make amazing gifts for any girlfriends that love the Wizarding World as much as you; not only do they look like a little bottle of beer thanks to the frosty ‘topping’ at the bottom of the tube, but they smell incredibly creamy and just what you imagine Butterbeer to be. A beauty piece every Potterhead would love in their makeup bag, no matter the time of year. The perfect stocking filler for any Potter fan, no matter their age, especially as they’ll only set you back a couple of quid. Primark have a great selection of HP socks (both singular and multi-packs) that make amazing last minute little treats – or just a token indulgence for yourself. Although I adore the ‘Dobby is a free elf’ ones, the Marauders Map pair are so covetable that they need to be in every wizard’s (and muggle’s) stocking. It’s undeniable that these little characters have taken over the geekdom in the last few years, but they’re such a cute an affordable way to buy into character merchandise. What I love about these is that there are so many options to choose from, including different costumes and accessories depending on your favourite character; I have far too many dotted around my flat, because they add a subtle nod to your interests without going full on geek. 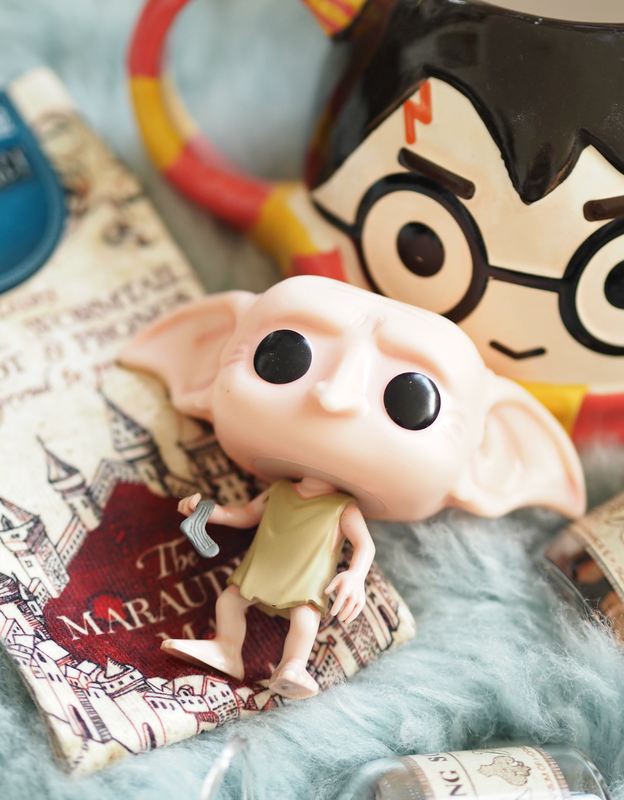 My fave Potter related one is definitely Dobby – he’s even holding a sock! 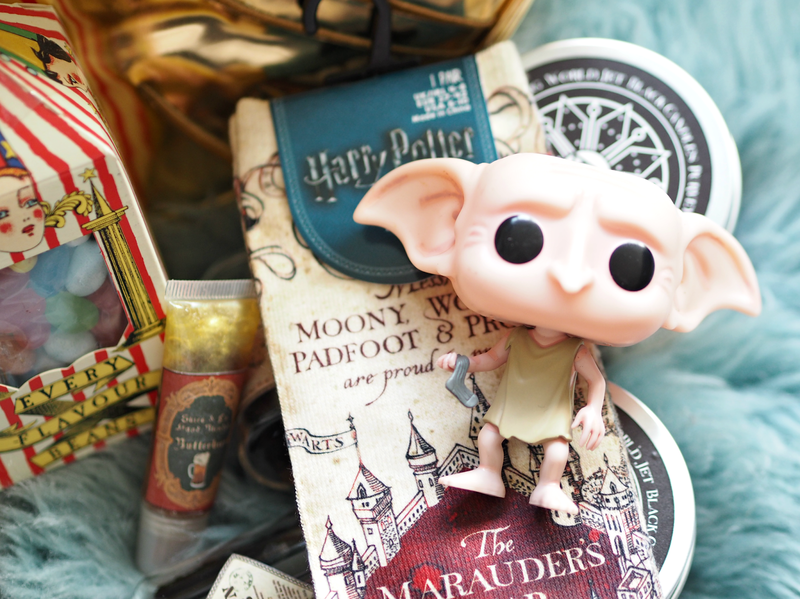 You can even gift a subscription of these via PopInABox, choosing a character to arrive to your loved ones doorstep every month for a little piece of HP magic over a whole year. Did you know that Pottermore.com isn’t just a place to discover more about the Wizarding World, but also a place to snap up some great memorabilia? I’m a big fan of movie artwork and pieces inspired by my favourite films, but there’s something extra special about the book cover artwork from the Harry Potter films. 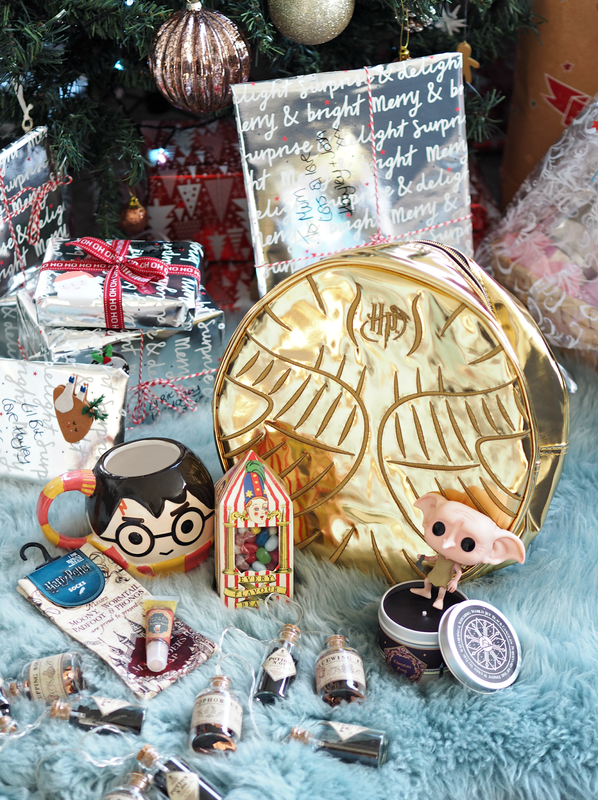 You can have your own piece of the movie with something like this Fantastic Beasts piece of decor, which is an exact replica of the prop used on set; pop it in a frame and it will undoubtedly be one of their favourite gifts this year – especially as the Fantastic Beasts franchise is only just getting started. Another gem from the collection at Primark (there are so many fab pieces I could’ve probably dedicated a whole post just to them!) these fairy lights are a quirky affordable gift, especially for teens looking to add a special something to their bedroom decor. I love the little labels that would even make Professor Snape proud. (Rest in peace Severus!) They light up to look rather magical when draped around a bedframe or on a shelf, plus at £8.00 you can’t go wrong. 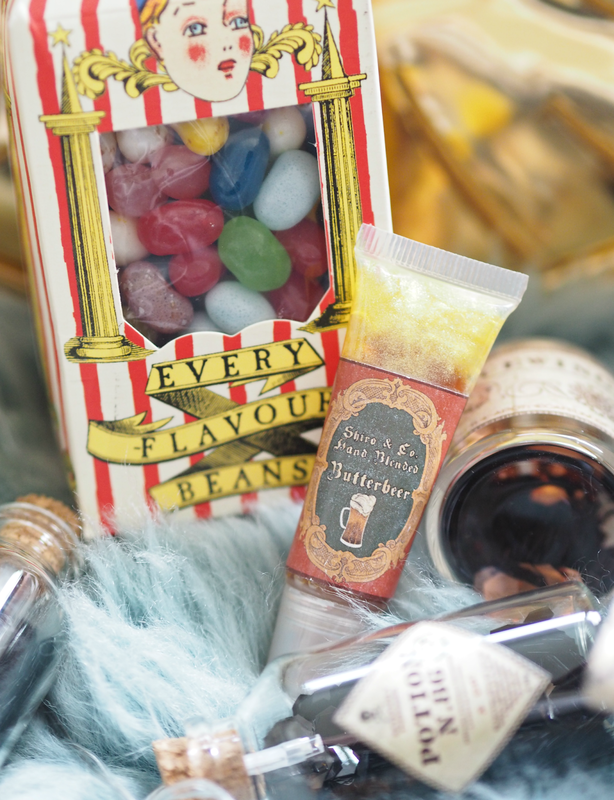 Who needs chocolate coins or selection boxes when you can have your very own box of Bertie Bott’s Every Flavour Beans? 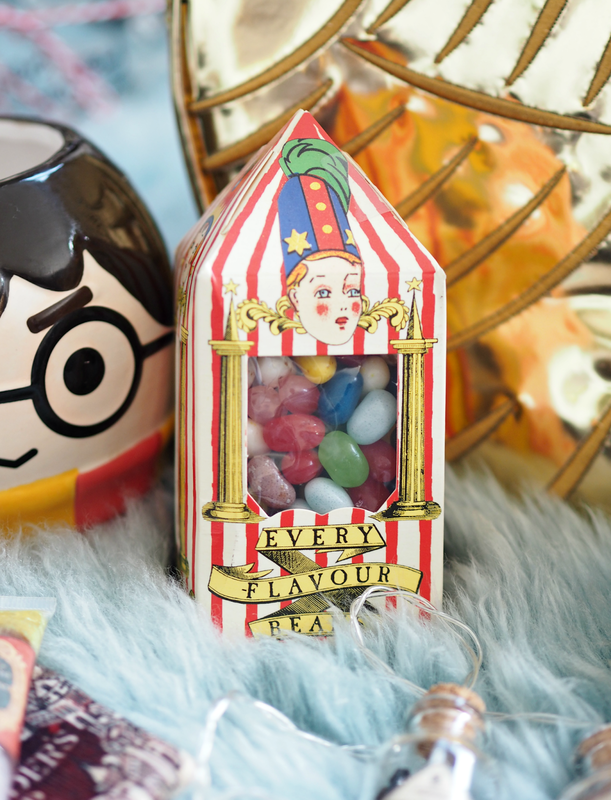 An iconic piece of Harry Potter history that’s edible too; bonus. Not only do they look fab as a piece of merchandise on your shelf if you can’t bear to open them, but they also make a great festive family game as you much and try to guess the flavours. Hours of fun and tasty too. 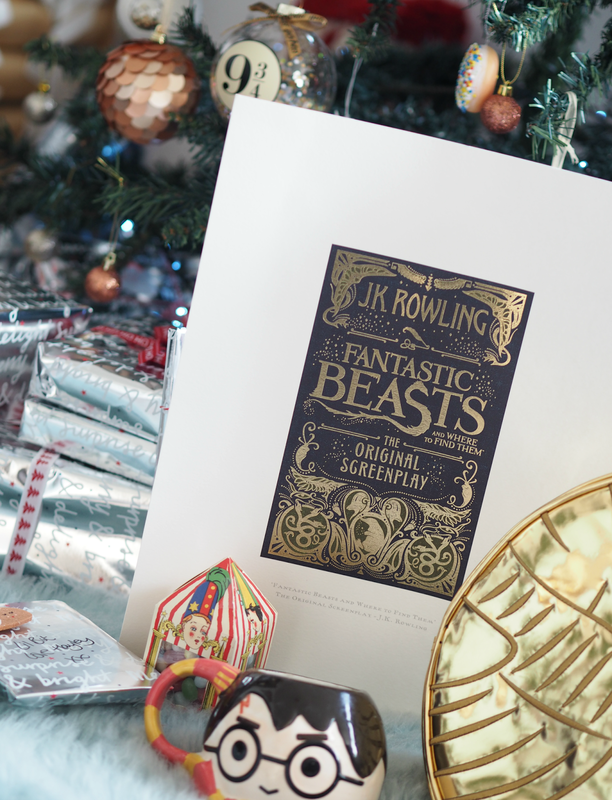 Wishing you all a magical Christmas and a Potter-filled New Year! Have any other great pieces of Potter merch you think I need to know about? Let me know! Haha I was the same – my mates were scouting out Primark stores for me once a week! Aren't they cute! I bought a box load for everyone!